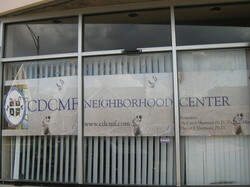 The CDCMF Neighborhood Center is part of the community outreach of CDC Ministry Fellowship. 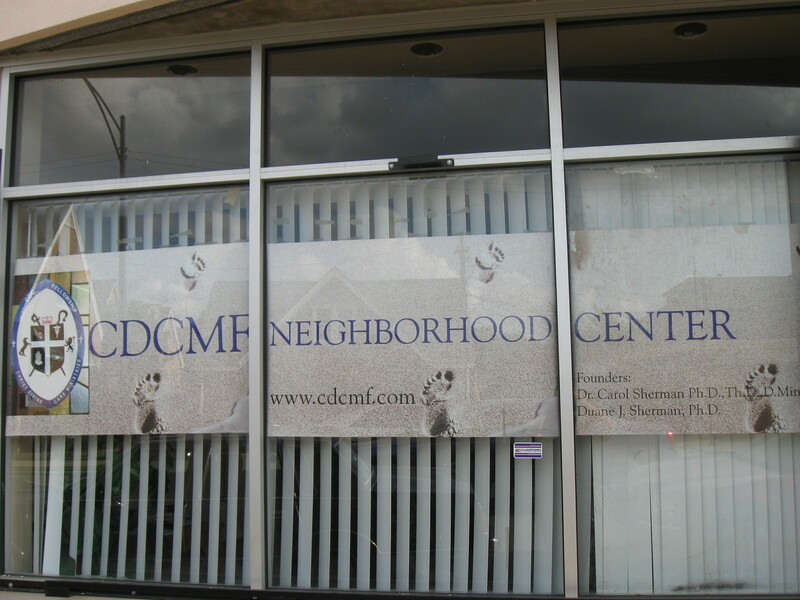 The CDCMF Center endeavors to serve our community by empowering people through incentives to achieve and promote a greater and more productive quality of life, through spiritual growth, academic preparedness, and social responsibility. All programs are designed to prepare people to become self sufficient, sharpened, elevated and contributing members of the community through diverse outreach programs. CDCMF JOB BANK - provides listing from employers who are hiring in the U.S. We also have listings of companies that provide jobs geared towards Veterans, Ex-offenders and the Handicap. Provides computer access for research, development application submission and furtherance of career opportunities. COMPUTER TRAINING LAB Providing training skills and overview on how to access the internet, establish and use an email service, social media and basic training on Microsoft Office systems including Word and Excel. HOMEWORK HELP - available to assist students with work supplied by the student's school. Service is available to school age children ages 6-13. TUTORING PROGRAM - using the Beka Book System we develop individual curriculum for children needing assistance. Our staff works with the child's school to identify deficiencies,improve comprehension and allocution for 1st - 12th grade. Assistance is available in the English,Reading, Comprehension, College Level Writing Skills, and Math. BEFORE AND AFTER SCHOOL PROGRAM - provide a safe place for latchkey kids to remain until an adult family member is available to pick them up. Service is available to school age children ages 6-13 years old. WORK AND ETHICS TRAINIG PROGRAM - designed to teach interviewing skills, proper dress and ethical behavior to particpants. Providing six months of follow-up services to ensure they are able to secure and maintain employment. EX-OFFFENDERS REFERRAL SERVICE -Referral Services for Ex-offenders offers referrals for Criminal Record Ex- pungement Assistance from the City, County, State or a Religious Organization. (PENDING)MEN'S OVERNIGHT SHELTER -Providing overnight shelter to homeless men in the community and surrounding area from 6pm - 6am. Providing access to public transportation and a food voucher to McDonalds. Providing some basic personal hygene supplies. 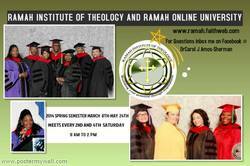 COLLEGE PREPARTORY COURSES -Six month fast track program to prepare students for college entry level study. Assistance is available in the English, Reading Comprehension, College Level Writing Skills, and Math.